Zorin OS 12.4 DVD (64-Bit) | Linux DVD Shop - UK Linux Shop supplying Linux on CD, DVD and USB with Free UK Delivery, 24Hr Dispatch. 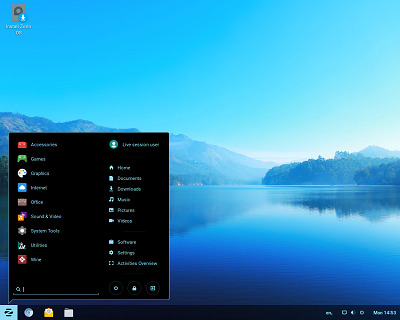 Zorin OS 12.4 DVD is an Ubuntu-based distribution which is designed to have the look and feel of a Windows graphical user interface and comes with many programs similar to those used in Windows. It is, therefore, a great distro for newcomers to Linux as well as those who prefer the familiarity of Windows.